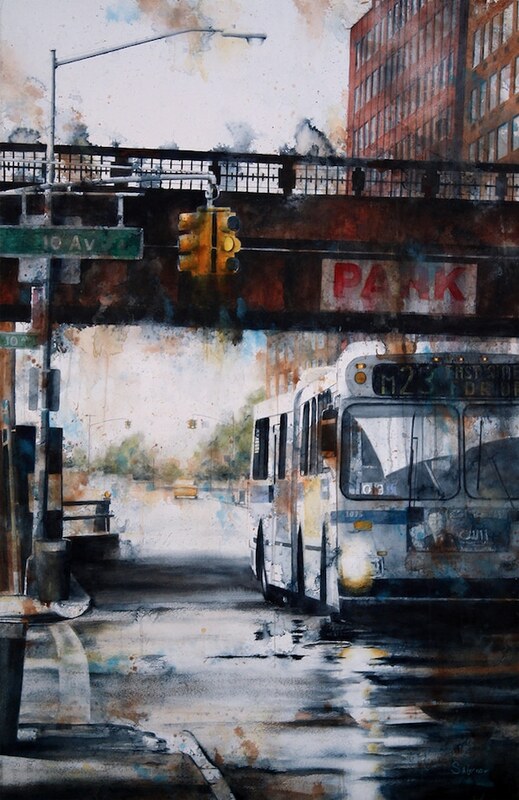 Tim Saternow’s paintings explore the lost and forgotten areas that exist around the edges of urban centers. Beyond the US, Tim’s art has been featured in the sixth biennial Watercolor Festival in Fabriano, Italy, and an international art salon in Qingdao, China, where he received the bronze award for watercolor. He has done set and lighting design for Broadway shows and worked in TV and film design, even earning an Emmy Award nomination for art direction.